Jayne is a spontaneous and enthusiastic lady who loves to take care of your body. Regardless of treatment, relaxation is paramount at Sugar Me. At Sugar Me, you can get your hair removed, facial care or a massage in a pleasant space with a relaxed atmosphere. You can have a nice chat but also enjoy quiet moments. You can laugh (a lot), maybe experience (a little) discomfort while sugaring, but most of all expect good results. In short, at Sugar Me, you can be yourself and you and your beautiful body will be treated with much love and respect. It is not a problem if you are a bit insecure about your body (or certain parts of it), a little afraid of the treatment (especially the first time), or just have a low pain threshold (sugaring). Jayne first puts you at ease, so that you enter the treatment relaxed. 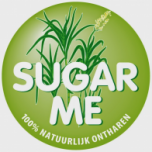 Sugar Me has no overcrowded agenda because quality is more important than quantity! It matters you feel relaxed, cozy and receive the necessary attention to achieve the desired result. Jayne is primarily an energetic bodyworker and experiential expert in many areas related to general human health. In all discomforts, syndromes and/or impurities, there is an emotional (energetic) blockage that can be seen in, for example, the wrong posture, the condition of your skin, muscle tension and more. Nutrition, lifestyle, and environment also play a major role in this. Through her own process, she believes that the body is very capable of healing itself, without pharmaceutical drugs that suppress anything. She has since remedied various nutrition intolerances, including suffering, through an intensive self-healing process. Her inner imbalance was very clearly visible in the face and on the skin. She eventually started working on this through various avenues and also managed to remedy a large part of it. It is precisely through her own process that she is motivated to help others with natural and organic products, among other things. You won’t find expensive spreads at Sugar Me, because Mother Nature has everything we need, without having to process it with all synthetic or chemical ingredients. Jayne makes all her products herself with lots of love and pleasure.